As a Wichita, Kansas native, Chrycka grew up with a single mother and brother who thought beyond their circumstances. Her house was nothing short of creativity - her mom created gourmet meals on a food stamp budget while her brother engaged in toy and computer manufacturing. Combine that with Chrycka’s passion for storytelling and you have a woman destined to build a social enterprise connecting food, narrative, and fun. In 2012, Chrycka moved to Washington, DC to attend Howard University. She majored in Psychology to pursue a career in mental health empowerment. Chrycka immediately noticed the limited selection of healthy and delicious items at the college cafeteria, so she started making her own meals during Sophomore year. Her peers would peek in the community kitchen as she prepared home staples like fried chicken, jambalaya, and Salisbury steak with mashed potatoes and gravy. Once Chrycka calculated the cost saving benefits of preparing her meals, she said goodbye to the meal plan. Not only did cooking save her money, it saved her mental health. Being far away from home with limited connections in the DMV area meant adult independence - big time! The combination of stress, depression, and anxiety became extreme burdens. However, every time she entered the kitchen to chop produce, mix salads, and heat the stove for stews, Chrycka was transported back to her home in Wichita. Fast forward to 2018, Chrycka received a Bachelor of Psychology and a Master of Social Work from Howard University. She transitioned from school with the determination to build a just and equitable food system through mental health empowerment. In December, she started serving through the AmeriCorps program as a Program Evaluation VISTA at Food Recovery Network. Within the same month, Chrycka took another leap of faith to build her dream, Rycka’s Kitchen. 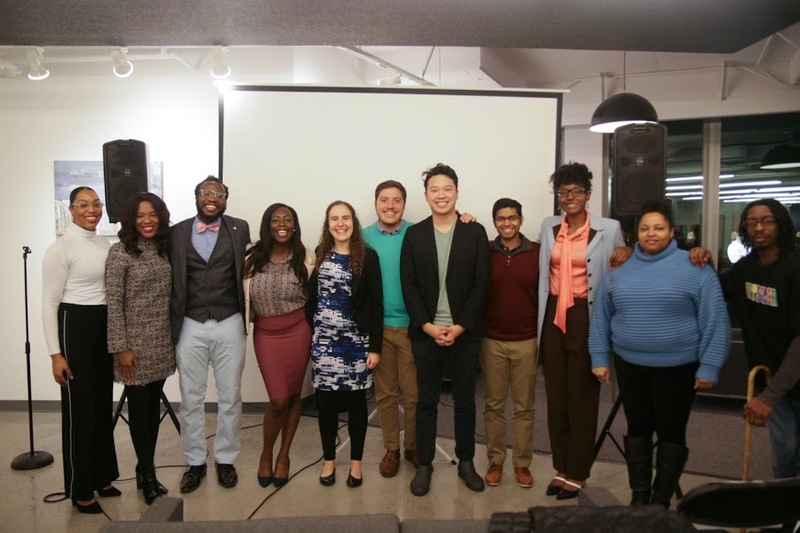 She connected with The Milieu, a collaborative-based entrepreneur network, then participated in her first pitch competition, winning first place with Rycka’s Kitchen (see the group photo below)! Now with greater understanding of her purpose in life, Chrycka is moving forward as a macro social worker, entrepreneur, and storyteller.